Good employees are hard to come by in today’s competitive job market. When you’re fortunate enough to succeed in your search and are ready to welcome new people to your team, you’ll want to make sure their introduction to your company goes as smoothly as possible. A consistent, comprehensive onboarding process is essential for effectively getting new hires up to speed and generating excitement about their new roles. To ensure your onboarding process sets new employees up for success, there are a few important steps to follow. Here, we’ll outline some onboarding best practices you can start implementing right away. New employees are often full of great ideas, having come in with fresh eyes and unique experiences. You may not be able to act upon every idea right away, but it’s important to encourage new employees and show them their opinions are valued. Using an idea map to capture new — and veteran — employees’ ideas can be a great way to organize their input and potentially turn it into actionable tasks. Collecting and documenting feedback from employees also helps to hold yourself accountable for making continuous improvements to your onboarding process. Oracle’s onboarding revamp is a good example of this positive feedback loop in action. 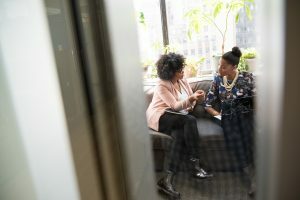 When CEO Mark Hurd recognized the faults in his company’s onboarding process, he looked to employees for feedback on their experiences and how they might improve Oracle’s onboarding. 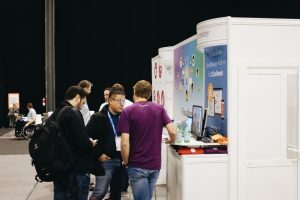 By acting on these insights, Oracle managed to boost favorable views of their onboarding process from around 30 percent of employees to 80 percent. Once employees are ready to start working on their core functions, providing them with step-by-step guides will help ensure that they don’t overlook important steps in their new tasks. Predefined checklists can help keep results consistent and provide new employees with an easy reference as they get used to their roles. Besides checklists for individual tasks, shared knowledge maps are another simple way to provide guidance to new employees. 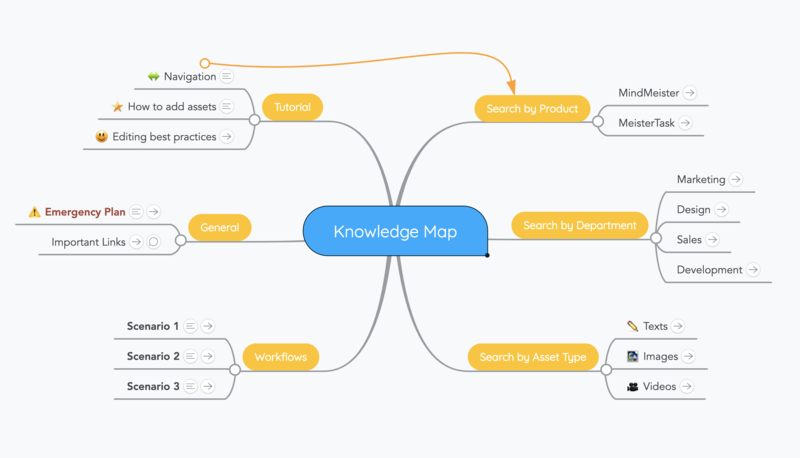 Knowledge maps are ontologies of your organizational knowledge. They can contain anything from design assets to email templates to information about your company’s mission and goals. These visual maps are easy to navigate and help your new employees to discover the information they’re looking for without having to ask their colleagues for assistance. By the end of their first week, new employees are likely ready to showcase their abilities and begin making real contributions. New employees want to feel like they’re making an impact, so providing them with early opportunities to demonstrate their talents can create a sense of meaning in those first few days. That being said, you don’t want to throw them to the wolves without proper monitoring. 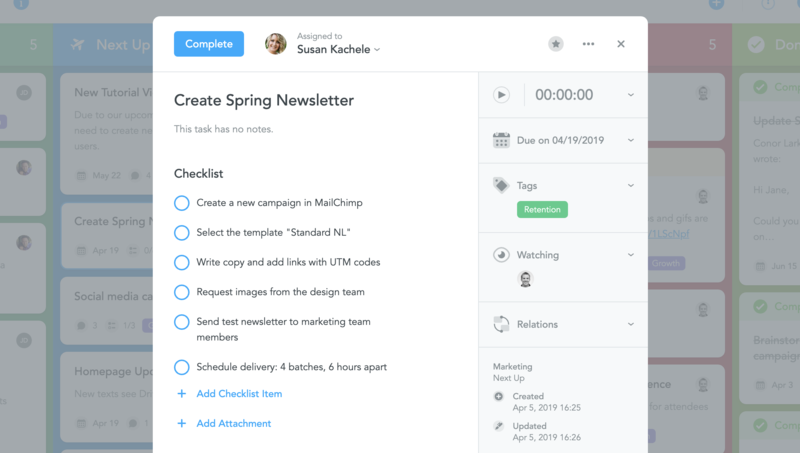 Tools such as MeisterTask offer managers the ability to “watch” entire projects and thus get notified instantly about any task changes or comments left by their team members. This can provide tangible insight into where new employees excel, as well as help to identify areas where they may need assistance. 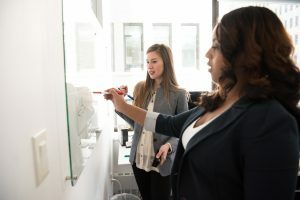 You want to encourage new hires to go at their own speed and figure out a routine that works best for them, but it’s also important that they learn how to prioritize their new responsibilities. 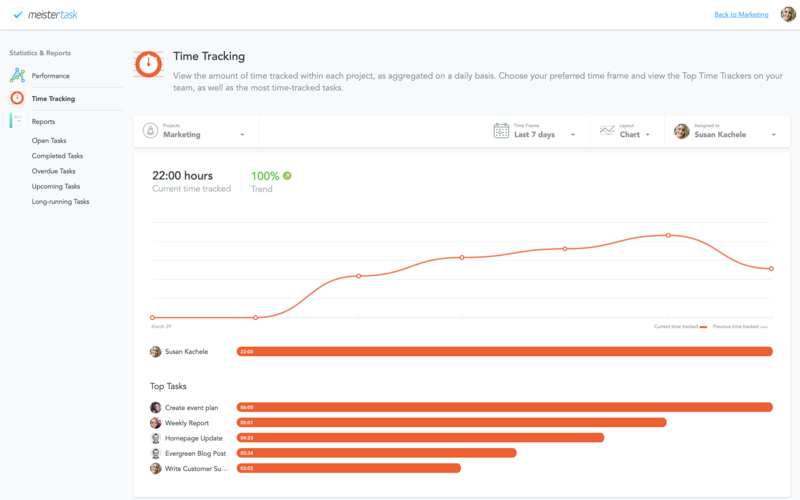 Tools like RescueTime, Harvest or MeisterTask’s internal time tracker allow for automatic or manual tracking of time spent on specific tasks. If you implement this practice, reassure new employees you’re not judging them based on their timestamps, but are instead educating your business on how it can best help them organize their workload. Automating tasks in your onboarding program can create a more streamlined and consistent process. 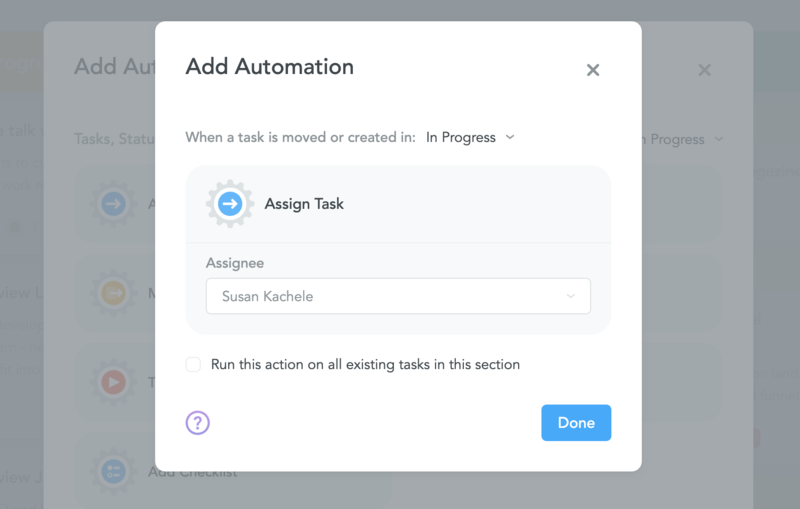 If you’re using MeisterTask, you can create tasks for all the typical steps in your onboarding process, beginning with pre-boarding paperwork. 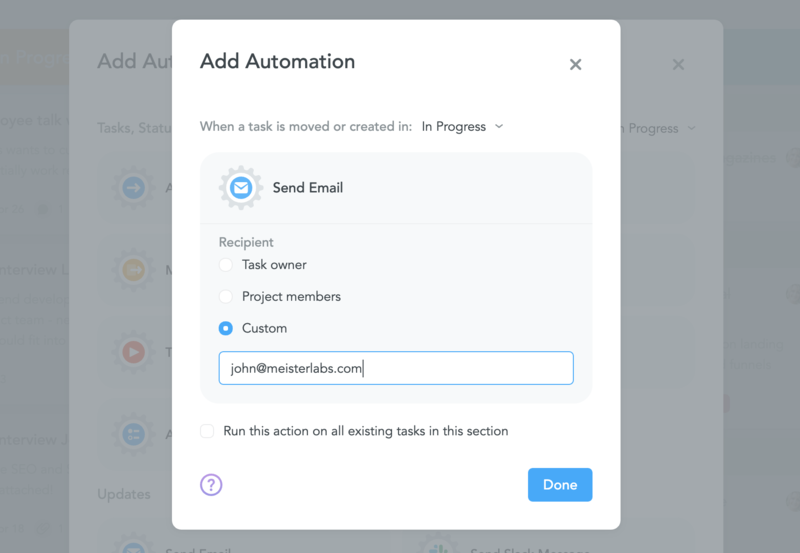 Using an automation, you can, for instance, let MeisterTask notify you via email as soon as the employment contract has been signed. 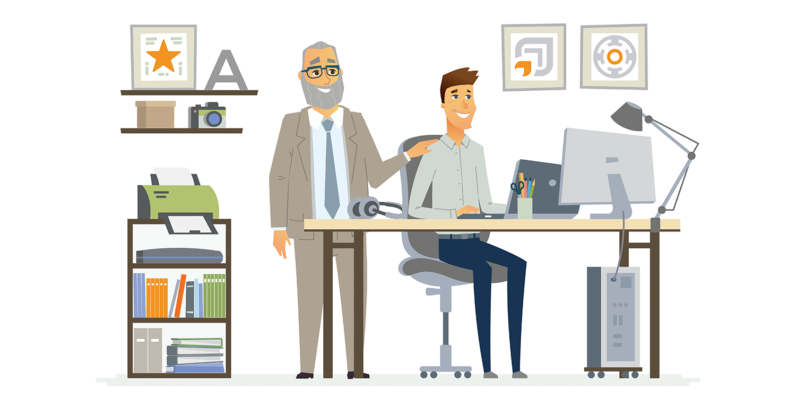 Another automation could be set up to assign a task to your accountant to let them know that the new employee should be added to the payroll. Automation can also be used to facilitate self-serve access to e-learning activities and lessons, so employees who need flexible scheduling can tailor their onboarding schedules to best suit their availability. Unlike orientation, onboarding should be an ongoing process. In this phase, it’s important to track the new employee’s progress with milestones, such as their 30th, 60th, and 90th days on the job. Regularly checking in with employees offers chances to review performance, provide feedback, identify any challenges, and let them know you’re invested in their growth. 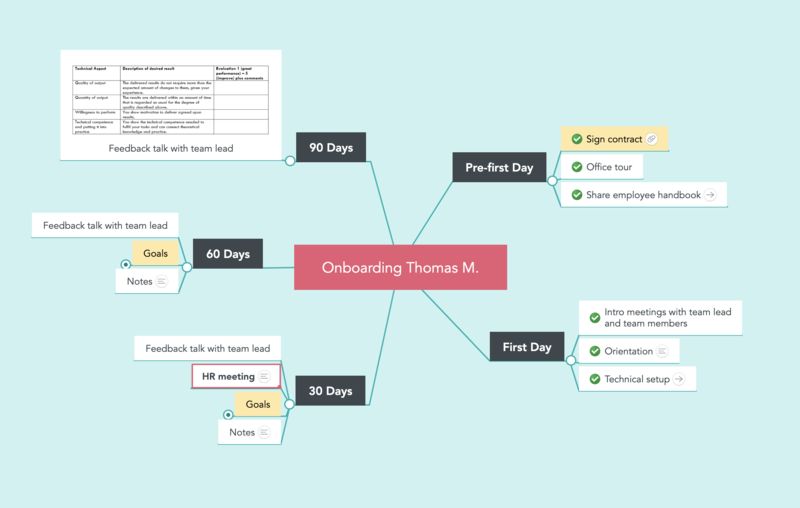 You can use a MindMeister mind map as a visual aid for your progress meetings with the employee. 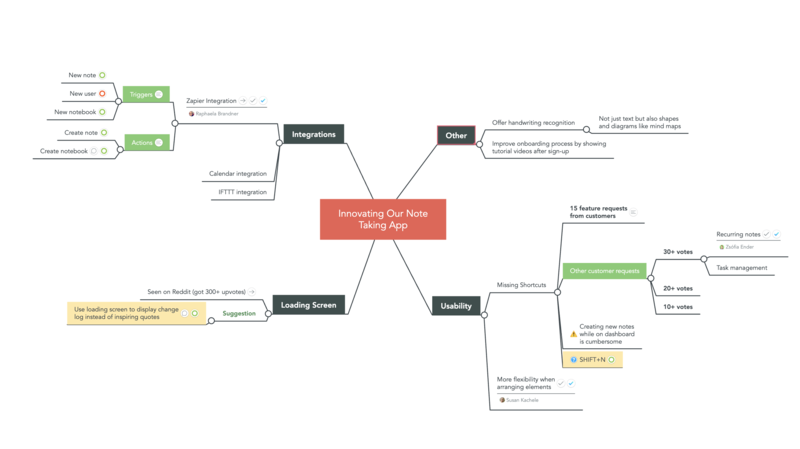 Mind maps are easy to update and offer space for personal comments, notes and more. Research shows that 42% of employees are more productive when they have access to proper onboarding processes. 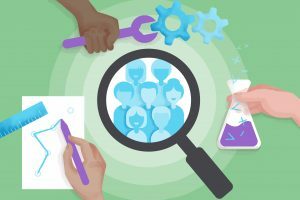 There’s simply no question about the importance of fully optimizing your onboarding program, and we hope these recommendations can help you set up your future employees for success. 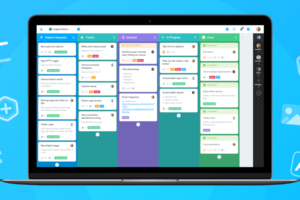 Visualize and automate your workflow. Maddie Davis is co-founder of Enlightened Digital and currently resides in the Big Apple. She lives by running marathons and reading anything and everything on the NYT Best Sellers list. 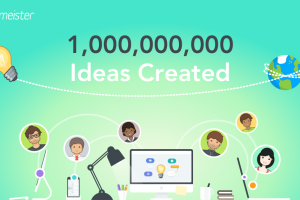 The World’s Largest Online Collection of Creative Ideas?